The Rennie Center’s Change Management Framework (CMF) is a rigorous, structured approach to planning and implementing improvement strategies in districts and schools. The CMF highlights essential elements of improvement including identifying of a clear and actionable problem of practice; investigating the evidence base; engaging education leaders and practitioners to understand local challenges and build on-the-ground support through committed and trusting teams; and pursuing continuous, result-oriented testing to assess progress over time and take corrective action as needed. The Rennie Center’s CMF is aligned with the principles of improvement science. It also includes a unique and critical aspect of Rennie’s approach: an explicit emphasis on creating district cultures that embrace change. This enables districts to support structured planning processes and build local capacity to sustain work well beyond the duration of individual investments. Read more about our Change Management Framework. 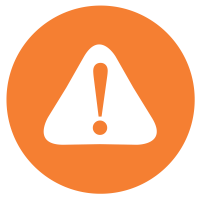 The following rubrics are intended to serve as project management tools to help improvement teams assess and advance the health of their projects. For each component described below, teams can determine their relative strengths and weaknesses by answering the prompting questions. The number-based scale will help calculate where your team falls on the Emerging to Excelling continuum for each component. Our specialists can help teams utilize these tools, collect data, build capacity to analyze the information and devise course corrections, and disseminate and scale findings. If you’re interested in learning more please contact Juanita Zerda. To build a model of improvement, a team of practitioners must articulate and coalesce around a shared Problem of Practice. Before deciding how to fix a problem, the team needs to understand the underlying causes and have a clear sense of the need for change. The improvement team must determine what the desired impact is and whether progress towards this impact is measurable. It is crucial to develop and define quantifiable outcomes that allow teams to track progress towards the improvement aim and ensure that it aligns with the PoP. 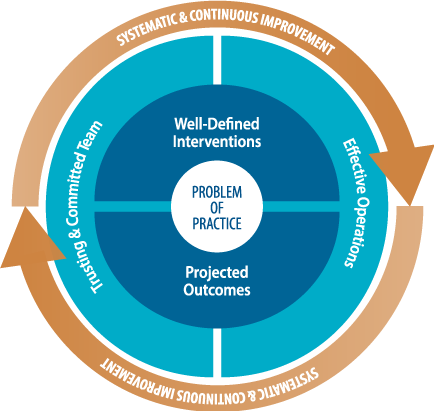 Effective improvement programs rely on best practices and well-defined learning communities to design strategies to gradually build solutions to identified problems. Ensuring and sustaining a team’s commitment and trust requires constant attention to norms of behavior, roles and responsibilities, member composition, and buy-in. It is crucial that improvement teams include those that will be responsible for implementing changes. Improvement teams are often composed of individuals drawn from different organizations, different departments within the same organization, or organizations located in different geographical areas. Thus, effective operations require adequate financial and human resources to bolster a strong, shared infrastructure. A systematic method must be established to integrate, sustain, and scale-up interventions. This will allow teams to benefit from sharing expertise and regularly analyzing data. The team must establish and conduct multiple iterative learning cycles. If you are interested in learning more about the Change Management Framework, how to utilize our change management tools, or for more information please contact Chief Program Officer Juanita Zerda. References: The Change Management Framework has been developed and refined through both practice and research.